Make a list of everything you will need for the week and make sure there’s no unnecessary added items. When you go into a grocery store without a plan, it can only backfire and you end up buying and picking up things you don’t really need or want, according to Elite Daily. By making a list of essential items, you go into the store with a plan and check off each listed item which is such a great feeling. Buy your cheese from the actual dairy section instead of the deli. The delis at grocery stores actually take the cheese from the dairy aisle and hike up the prices to make it look like it’s better, when in fact it’s the same. Cheese is super expensive to begin with, so you’re going to want a deal on it. Delis actually take the cheese from the dairy section and repackage it to look prettier, which convinces people it should be more expensive when it actually shouldn’t be. This hack has major benefits not only for your wallet, but for your health. There’s nothing worse than buying fruits and vegetables that aren’t in season just to have them end up never getting ripe or going bad right away. Buying in season fruits and veggies can only benefit you because you won’t be paying unreasonable prices since the products are not being shipped from far away. Plus, since they are in season, they’re not covered in pesticides and other harmful chemicals that are used to preserve out-of-season produce. Buy your chicken in bulk and you will cut so much wasted time off your life. If you buy family packs or large packets of chicken, take out what you’ll be eating that day or night and then store the rest. You can marinade all of the chicken at once in plastic bags and then store it in the freezer for the next time you want to eat it. That way, the next time you want it, it’s right there and already marinated, it just needs to be cooked quickly. 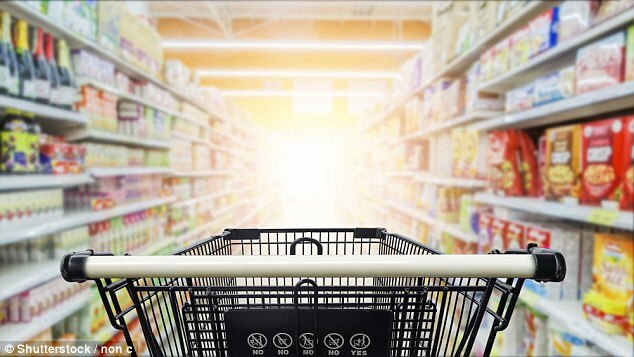 By shopping the outskirts of the middle aisles and only shopping the perimeter, you will find only the healthiest aisles with ingredients such as fruits, vegetables, produce, meat, and grains. Taking this shopping route and simply scanning the outskirts of the store can provide you with the best options for an entire week of meal prep. Plus, just like in retail stores, groceries try to lure customers into the middle of the store as a marketing scheme. They want consumers to be stuck in the center so that they’re forced to go up and down aisles buying things they don’t really need. While the thought of this sounds super depressing, because what’s better than perfectly shopped and diced fruits and veggies in those little plastic containers, it will actually benefit you. First of all, pre-chopped produce is overpriced and you will save a lot more money if you just buy the ingredients and chop them up yourself, despite the extra time you’ll have to spare. Second, the plastic containers they come in are a giant waste when you can easily bring them home in your bag and cut them up without excess waste. Any type of herb or lettuce can easily shrivel up and go bad almost immediately if they’re not stored properly. Don’t just put the herbs back in the fridge once you’ve taken out the portion you need at the time. Instead, a simple hack for how to store them is putting them in cups of water and covering it with saran wrap or plastic. Secure the plastic wrap with a rubber band or elastic and you’re good to go. This will preserve your leafy greens for as long as possible, saving you a ton of money. Groceries try to pull a fast one on customers by putting all of the items they want to sell you on the shelves that are eye-level. To avoid being swayed by those items, when you get to an aisle, scan it from the top to the bottom, trying to avoid the middle unless you really need something. By looking from top to bottom, you will avoid over-spending on brands when you can simply get the generic option on a different shelf. Don’t be afraid to ask the butcher at the grocery what you really want because there’s a lot they can do for you. Instead of asking for a portion of meat sliced, ask for larger portions as there’s a lot more you can do with the slabs of meat. You can use different parts of a large slab of meant as various ingredients for an assortment of different recipes, one butcher shared with The Kitchn. ‘We’ve had people buy one big roast and have us remove the bone for soup, run half of it through the grinder for hamburgers, and cut the rest into a pot roast. That can save you about 30 percent, compared with buying everything cut,’ he said. While it may seem convenient, shopping carts will only backfire your shopping experience in the end. Since carts are so big, when shopping it may seem easy and fun, to just toss items in the cart and push it all around the store. This is actually crazy. According to Reader’s Digest, 60 percent of shoppers off-load products on the checkout line. Which means, when waiting on the checkout line to pay, you unload the items in your cart and see things you don’t need or no longer want, so you take them out of the cart and ditch them. Groceries caught onto this and decided to make checkout lanes narrower so that customers would not be able to unload as many items due to limited space.